Thank you for fav'ing my live-action fantasy casting choice for Outlaw! Would you please leave a comment on it regarding what you think as well? I've done other fan castings for a hypothetical Deadpool movie series set in the Marvel Cinematic Universe, which you can find here. If you want to see who I'll cast in the future, feel free to add me to your watch list. Thank you so much for the fav! Your gallery is truly beautiful! 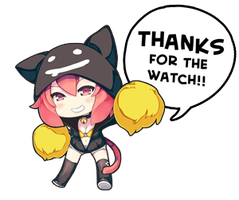 Hello and thank you very much for the watch, greatly appreciated! I look forward to seeing your art, you have a very stunning gallery from what I can see! thank you so much! my gallery is nothing compared to yours, those photos are taken by a real pro! My pleasure, well deserved. Thank you so much for the kind compliment, means a lot! But I'm hardly a pro.. just hobbies. wow that's just a hobby? you're really good! they're all like desktop wallpapers.